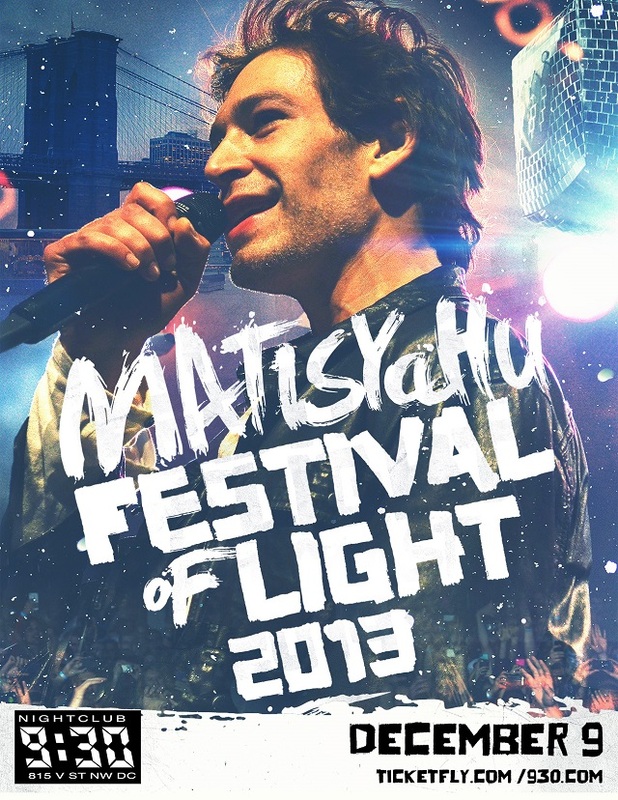 Today, we are giving away a pair of tickets to see Matisyahu at the 9:30 Club on Monday, Dec. 9. Jewish reggae artist Matisyahu last year put out a new album, Spark Seeker, which hit the top of the reggae charts. More importantly, however, Matisyahu is bringing his annual celebration of Hanukkah to the 9:30 Club this year, which makes this a particularly unique performance! How often can you celebrate the holiday with your favorite artist? And Matisyahu’s cool, laidback attitude is certain to spread holiday cheer for everyone who goes, regardless of religion. Chop ‘em Down has always been one of my favorites. He’d be new to me. King Without A Crown! Would love to have my first 9:30 club experience to be seeing Matisyahu! Would love to get these tix so I could give the gift of an amazing show! What a great way to get into the holiday spirit! Sunshine.